When I first met Alan McCune and Enrique Godoy Ynzenga (the duo behind Skinny Executives) I knew they were something special. Not only that, but the services their company offers are truly unique. Although they hail from two different backgrounds, together the striking duo are the perfect pair and the combination of their talents is what allows Skinny Executives to be a one stop shop for all your fashion, travel, domestic, and event planning needs. I always enjoy catching up with Alan and Enrique and am always impressed with how much they accomplish in a single day. So, when I heard that Alan was writing a book I wasn’t surprised (even though I was). 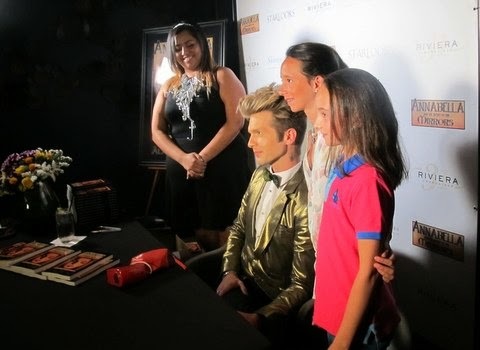 Born and raised in a small Texas town, Alan (the handsome guy in gold below) had a tough childhood. Hope, faith, and determination encouraged him to find a better life and become the warm, loving, outgoing individual he is today. Those three values served as the basis for his first novel, Annabella and the Secret of the Mirrors – a tale set in another world where society is divided by the color of your eyes and the Ministry rules with a promise of Coneyesion. In this world mirrors are banned because of their dangerous, secret properties. The story’s heroine, Annabella, is forced into a journey of self-discovery and thrust into a world of pain and solitude. Along the way, she learns that faith, hope, and fear are what can kill you and, yet, these emotions also keep you alive. 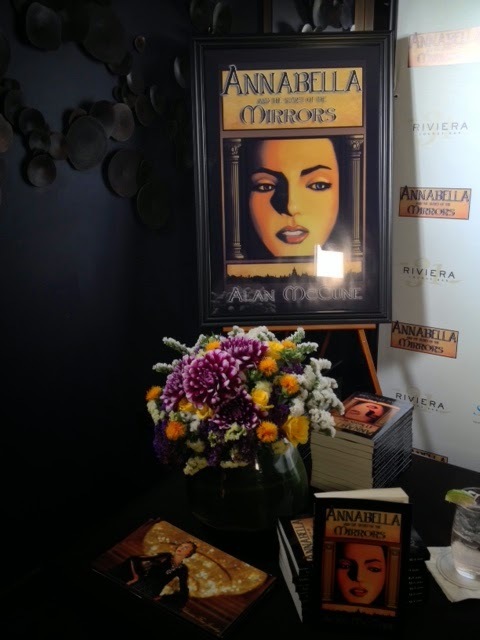 The night of the book’s release, Riviera 31 Lounge at the Sofitel Hotel was packed with celebrities and some of L.A.’s most fashionably stylish individuals. StarLooks was on site offering make-up and touch-up services to ensure that all in attendance looked their very best. StarLooks’ make-up is in HD and their new line is for men. They even have make-up for athletes (so it doesn’t sweat off), and it’s budget friendly - all of which means I have a new favorite brand!